Eagle is an L.A. based hip-hop artist. 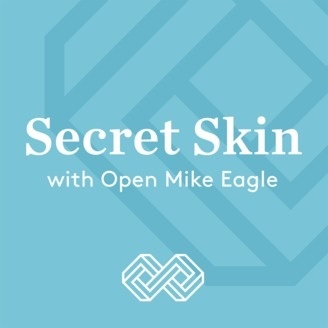 On Secret Skin, he and his guests examine what’s really going on behind the face that hip-hop artists put on for the public. The in-jokes. The heavy stuff. The tour stories. The day-to-day struggles and absurdities of being a working musician. The Secret Skin. Part of the Infinite Guest network from American Public Media. Mike is joined by the Podfather himself, WTF host Marc Maron. They discuss Marc’s unusual life balancing a podcast that is at least somewhat about him and a TV show where he plays a podcaster and comic named Marc Maron, who is an awful lot like him.